This beautifully elegant white wine is a hand-crafted, proprietary white wine. 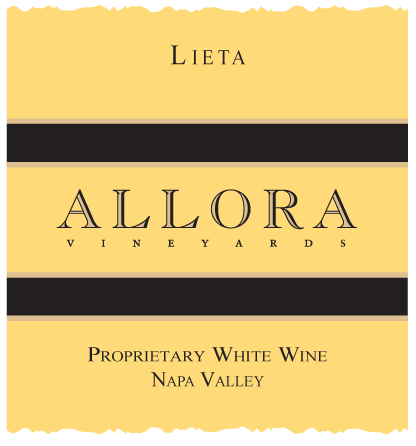 Lieta is the Italian word for “glad”. It is a reminder of the gladness wine brings to our heart. A rainy winter before spring refilled reservoirs and replenished soils. The 2017 winegrape harvest was unaffected by the wildfires and the vintage promises to be of excellent quality. No heat spikes of any sort, which our valley is known for, holding back vine stress. The year swung from hot to cold and hot again resulting in good quality and decent volume, but everyone would have liked a little more juice. A nose of meyer lemon, hints of honeycomb and orange blossom with a kiss of struck flint. It is rich with acidity and elegance and long finish.